This giveaway is for the DVD, “The Thomas Way”. Sparks fly on the Island of Sodor as Thomas and his engine friends race around in these action-packed and slippery tales of friendshp and fun, in Thomas & Friends®: Spills & Thrills. Thomas and his friends learn that even when mishaps happen, an adventure always awaits! I’ve always loved that philosophy of turning a mishap into an adventure. In fact, I use the word “adventure” sometimes to describe a situation gone awry. I hope I’m passing that on to my daughter and I know watching children’s programming with the sense of fun and adventure that is in Thomas videos, clearly helps. 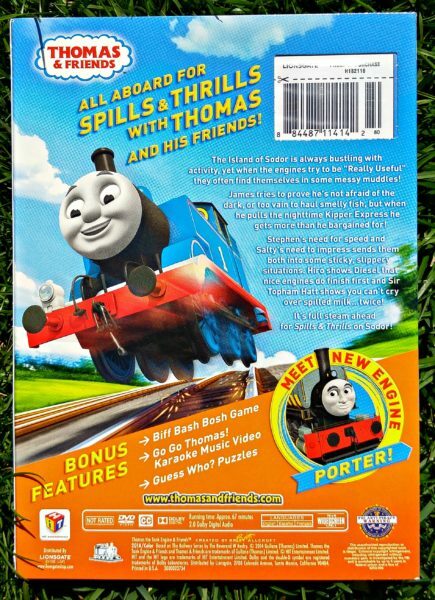 All aboard for Spills & Thrills with Thomas and his friends! The Island of Sodor is always bustling with activity, yet when the engines try to be “Really Useful” they often find themselves in some messy muddles! James tries to prove he’s not afraid of the dark, or too vain to haul smelly fish, but when he pulls the night time Kipper Express he gets more than he bargained for! Stephen’s need for speed, and Salty’s need to impress, sends them both into some sticky, slippery situations. 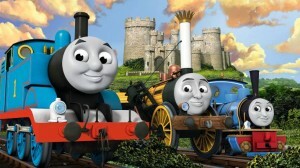 Hiro shows Diesel that nice engines do finish first and Sir Topham Hatt shows you can’t cry over spilled milk…twice! It’s full steam ahead for Spills & Thrills on Sodor! 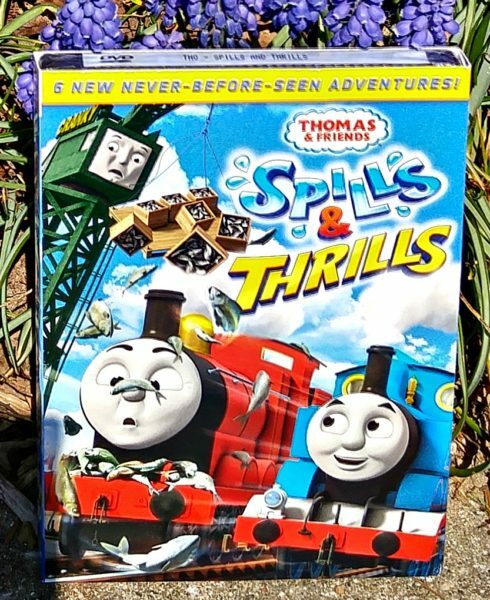 Enter to win the DVD, “Spills & Thrills”, featuring Thomas & Friends!